Performing a vital aspect like a domain check is crucial at many different levels. However, in order to understand its importance, you need to know what the meaning of a domain is and then why checking the details of a domain is important. To understand what a domain is, we need to have an offline example. Whenever you apply for any connection like a new mobile connection or a new job, you have to give your physical address. Now in the physical address, you have the actual house address and the locality where your house is located. So the house will be your website and the locality will be your domain. Now when it comes to choosing your locality, you will ensure that you choose one, which is safe and easily accessible. The same applies to your domain. When you register a domain, accessibility and visibility are two main factors you have to consider. The name should be easy to recollect and should help people connect to your business. 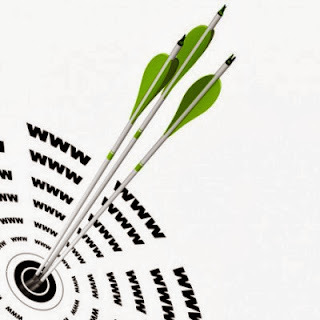 Once you come up with the domain name of your choice, you have to register the domain with the service provider. However, it is during the registration process that you have to do check the domain. So what does this mean? When you buy a house or a piece of land, what is the most important check done by you? The answer is simple. The most important check will be the whether the house or the land is not already bought by somebody else. This is basically the essence of a domain check. Why is this important? This is important because two people cannot have the rights to the same domain name. In case someone else already holds the rights to the domain name, you will have to select another name for your domain. Now that we know why this process is important, the main question is how we can check for the domain availability. The actual process of domain check is extremely simple. Check with the domain seller – Most of the domain buyers approach the major domain sellers when they want to purchase a unique domain name. They will check with the service provider if the domain name they want is available or not. Check the central domain database – There is a central database called WHOIS. This is the authority, which keeps track of all the registered domain names. You can directly search this database to check for the availability of the domain name. Check the landing page – One of the simplest ways is to type the domain name in the address bar. This will lead to two situations. You will be directed to a website, which is fully functional. Or you will be directed to a page that will indicate that the domain is up for sale. Remember, as simple as the process of domain check is, it is a step which most people push to the end. Do you think that this should be your first step or last step? Leave your comments and let us know. About the author: Ted Garza is a professional teacher. He has worked at kindergartens in USA and abroad for most of his professional life. In his free time he likes to write texts and articles on the topics of technology and also its implementation in everyday life for different websites (for example for the Danish "UnoEuro domane tjek" domain campaign). He is always excited to share and comment his views on modernity with other people interested in such discussions. Thanks for the blog...it was very easy to follow the stepby step process to achieve my notion....I am setting up a website and the domain name that I had in mind was already chosen by someone.When I checked in the website it did not have anything except for a sale page.Then I checked in WhoisXY.com and got the owner's details.I got the website through the domain registrar and now very happy.